What are you looking forward to in our game? It's been a while. How are you doing, Hyperspace? There are a lot of gameplay updates, and we'll save all the goodies for the January build. I simplified our section and moved old topics to archives to prevent confusion, making this a little more streamlined in a sense. Thanks for reading and have a great day everyone! You forgot the most important vote option, h. It's #5, "all of the above." That's such a cop-out vote - it doesn't give any meaningful information . I voted for story and writing - a good story, to me, anyway, can overcome everything else. Everything else is secondary. My second choice would be lore. This depends on how it is approached in the game, but I really like it when a world feels fleshed out and living. In a way, it could be tied to side quests, as that's one way to flesh things out without resorting to a codex or pointing people to look at the website. Life and death choices, too, are something I find quite interesting. 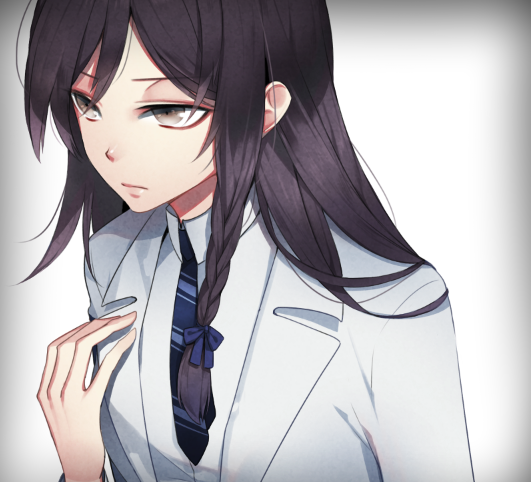 Perhaps I'm a bit odd, but I really love Bad Ends in VNs. Fate/Stay Night, Aoi Shiro, Corpse Party, Ever17, all of these had bad ends that added to the story despite being a game over and made me feel strong emotions in regards to what had just happened. As to more waifus, husbandos, and battles, well, this is distinctly last for me. I don't mind a good romance sub-plot, but that's all it is to me - a sub-plot. The meat for me is the main story, politics, tragedy, and character development. That's not to say romance can't have that, but at least in terms of Sierra Ops, my interests lie in the conflict between Earth and Mars. As for battles, I'd like the emphasis on quality battles rather than quantity. From what I've heard the quality has gone up, but I'd have to see that first before I can say "Yes, the quality has reached the point where I want more of this." 4. Waifus and husbandos and battles, oh my! I meant that I want more of everything. Ok, edited the poll so you can vote up to three options. I definitely agree with writing being top priority, otherwise Muv-Luv wouldn't have made a million --- wait, it was read by the fans using a fan translation that needs a little spit and polish! That's why for me quality story + execution is the best, 2nd is art, 3rd is writing and lore, romance is kinda subjective and when people do it right, it's very awesome. (I just can't imagine Fate Stay/Night nor Stein's;Gate without it haha). Since I can't vote again, my current vote went to Storyline, but as two and three I'd put Writing Quality and then be divided on Artwork and Complex Choices. Woops sorry about that, there I made it changeable! On choices, I actually have never been too big on them. Though that may be because I think the best choice is the one you do on the gameplay, and that you can circumvent through skill or trickery. What a better way to show you master the game that being able to change that impossible situation? Ehem, other than that, I'm a little worried about the change on artist. While he seems fairly good, his (her?) style is also a bit different, so hoping there aren't many inconsistencies: I suppose you won't be redrawing sprites or CGs? Well she'll deal with the CGs for now - the only major cg she will redraw is the title screen. Once we're done with all of the CGs we'll see if we still have the budget and time for sprites -- and if the audience are very disturbed with the inconsistency... They will get to decide the fate of the sprites later on. Hopefully Sekai Project wouldn't mind even if I have to loose another limb for the contract haha. Is that Freija? She looks awesome! On a more related note, I put my vote for storyline, writing quality, & arts/CG. I would have voted for lore as well, but the limit was 3 lol. But to be truly honest, I would prefer an "all of the above" option because I feel like the other elements are also important, since this is a VN integrated with gameplay. On another note, good to see you still active Hel! It's been a while since I saw you around the forums lol. Actually, I quite like the current sprites, so unless the CG differ by a lot (which, while with some differences, is not too bad now) I would propose to maintain them. Oh, by the way, if you don't mind me asking, is Youko still in the project or she left after finishing her job? She's still with us, in fact she signed a contract lately. Everything's going smoothly in the story/writing department, that's all I can say about it haha. Yeah, the past 4 months has been quite a ride haha. Frankly speaking, while in a huge SF fan who reads crunchier sci-fi (like... The Revelation Space trilogy) with a mostly working, self-consistent technology, or deep meaningful choices between waifus complete with gurobochi style anguish; you'll notice you are writing a crowdfunded VN that is also your first work. Complex battles to not die, and especially a powerful, moving story that makes sense is even more important than trying to max out the prettiness of your waifu. Admittedly, new Freija is a significant refinement of Freija, who was already hnnggg-worthy. You have my vote, gentlemen.